It's funny, everyone always says how organised I am, but I never feel it! I would love to have a yearly planner, my planning for the following week all completed by the START of the weekend, be on top of my assessment and feel totally in control. But it never seems to happen! Perhaps it's because I am too busy cooking, planning the wedding, making cards, selling Scentsy, developing activities, playing with the puppy etc. (Time to think about not taking anything else on right now....). This year I have got a few things to help me stay organised. First of all I bought this beautiful Erin Conden Teacher Planning - the months are a little out of order for us, but I didn't mind - it is so pretty and nice! Although shipping to Australia was not cheap! Last year I had a few different books I would write in and then do my planning on the computer - I am using this like my rough copy and then will still do my "proper" detailed planning on the computer. It's easier when we have to hand it in. 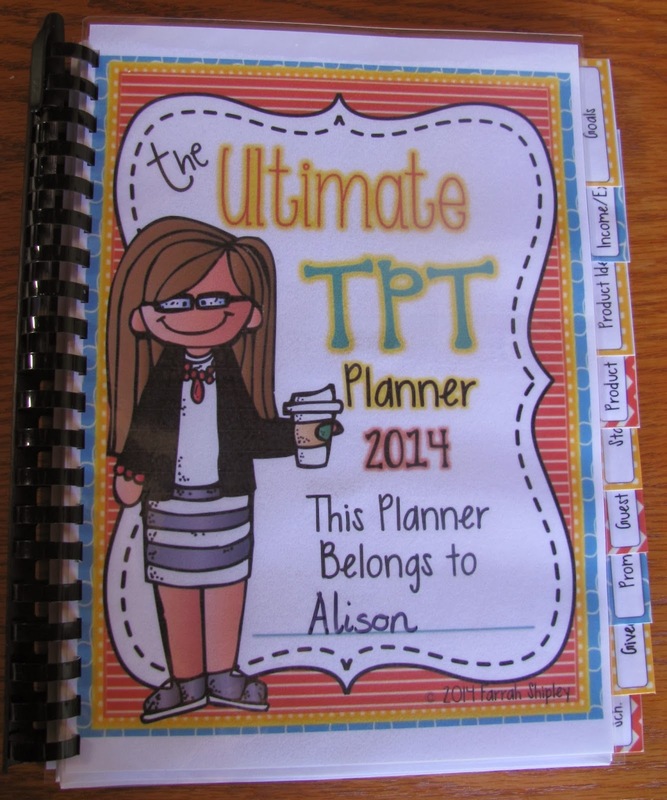 I also bought the Ultimate TpT and Blog planner from Farrah Shipley. I really needed something like this last year to keep me on track - hopefully it does! I love that I can keep track of my goals and "hopefully" (fingers-crossed) keeps me on target with my blog posts! What do you use to keep you organised? I am always after a new suggestion! I use a paper calendar to write down all the dates that I need to add to my class website. Planbook.com for online planning. Wunderlist for list making and a blog calendar that I purchased this summer. I need to watch more videos on Erin Conden. I love the design you chose! 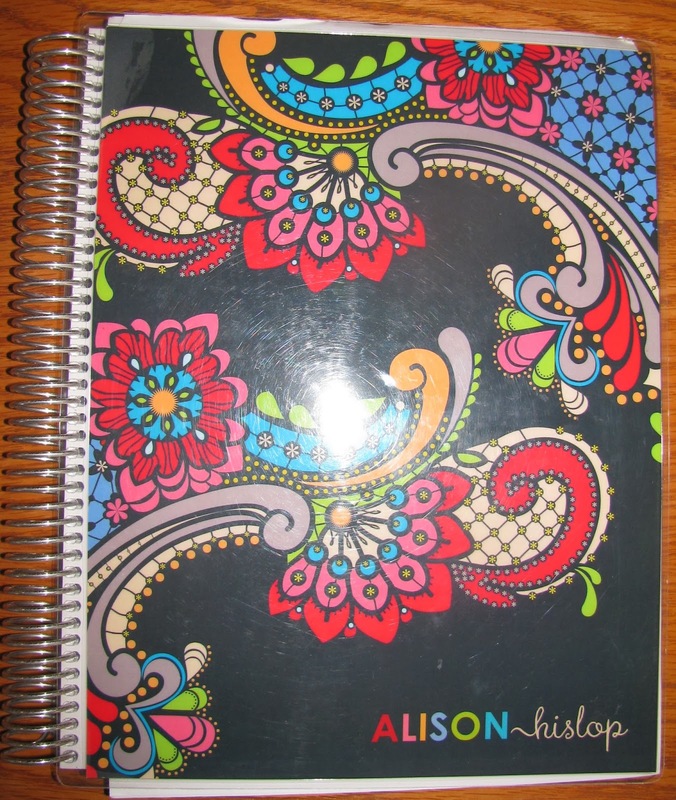 I love my Erin Condren planner… I have to order my second one in the next few months so that I can continue on with the year, but I've actually USED it (as opposed to some of the more plain versions we can get here). I still plan electronically, but I use it as an overview and I actually go through it daily, modifying as required. I love the layout and aesthetic! I've also contemplated the TpT planner. Might have to bite the bullet and use it get organised!